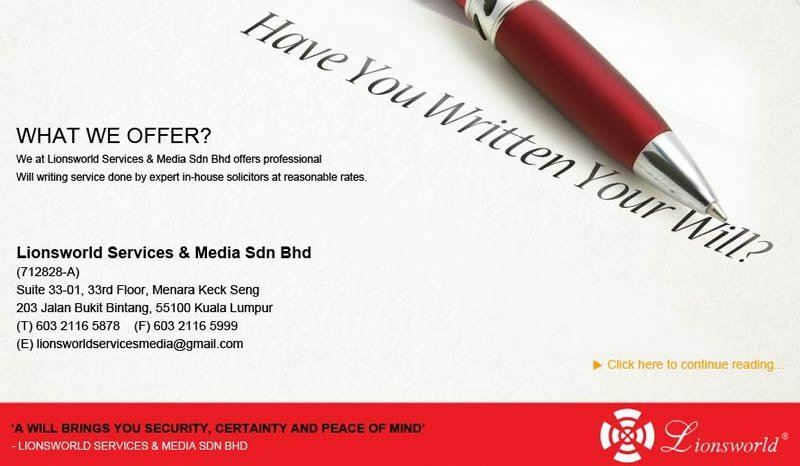 Lionsworld Corporate Support Sdn Bhd - Lionsworld Corporate Support Sdn Bhd specializes in Administrative, Public Relations and Personal Assistant services. 20-Aug-2014 HAVE YOU WRITTEN YOUR WILL? Suite: 33-01, 33rd Floor, Menara Keck Seng, 203, Jalan Bukit Bintang, 55100 Kuala Lumpur, Malaysia.